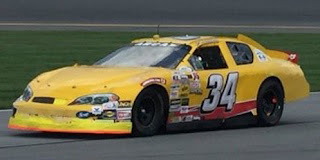 Mike Basham picked up the first last-place finish of his ARCA Racing Series career in Saturday night’s Music City 200 at Nashville Fairgrounds Raceway after he fell out of the race in his #34 Darrell Basham Racing Chevrolet after 1 of 200 laps. The finish came in his 45th series start. The Basham family has long been a part of America’s short track racing scene. Patriarch Darrell Basham made a lone Cup start at Nashville Fairgrounds in 1979, starting and finishing 24th in a 28-car field. Dating back over two decades, he has also made over 300 ARCA starts, running full seasons from 2002 to 2012, and garnering a best point rank of 10th in 2011. After 2012, he scaled back his schedule and has let his sons, Mike and Jason, drive. A shop fire in November 2010 and a tornado in 2012 took its toll on the team and after Darrell and Jason split a full 2013 schedule, the team scaled back to part-time in 2014 and 2015 but returned nearly full-time in 2016 with Mike driving in 17 events, finishing tenth in points, while Willie Mullins fielded his car at the two restrictor-plate tracks and at New Jersey Motorsports Park. Darrell was also diagnosed with cancer that year, from which he is still recovering. The arrangement continued in 2017, as Mullins ran both plate tracks, Nashville, and Elko with Mike covering the remaining 16 races on his way to a 13th-place points finish. 2018 has brought changes to both sides of the 34 car. Mullins, expanding to two teams, decided to partner with Hixson Motorsports. In came K&N West racer Jesse Iwuji (who was featured on this site last month) and his Patriot Motorsports Group, who reached an agreement to use the No. 34 to at big tracks while the Basham family would run short tracks. The first entry for the Basham side for Nashville was filed with Darrell driving, but he said in an interview with ARCAracing.com that one of his sons would probably drive. The entry list showed 28 cars, including four drivers making their series debuts. 15-year-old Chandler Smith had announced a partial schedule with Venturini Motorsports. Joe Graf Jr. had announced a six-race slate with Chad Bryant Racing. With less publicity, two Texans showed up on the entry list for their debuts. D.L. Wilson, of Waco, was set to run a second Fast Track Racing car, the #11. Tovia Grynewicz, of Clyde, entered his own #40 Grynewicz Motorsports machine. Wilson raced super late models at Central Texas Speedway with current XFINITY and Truck driver Bayley Currey, and tested with Henderson Motorsports at Daytona at the beginning of last year. Grynewicz mainly raced in Pro Trucks. He has experience in the Southern Pro Am Truck Series and had made the trek to Florida for Snowball Derby week, finishing 24th of 36th in 2017. The weekend included only one practice session, which was anchored by Wayne Peterson, entered in his team’s composite car #0. Peterson, 79 years young, turned a fastest lap of 25.501, more than six seconds off the pace set by Chandler Smith at a 19.003. ARCA has made news in the past for inconsistencies in enforcing minimum speed rules, and Peterson looked to be at the mercy of the sanctioning body if times held steady. Grynewicz was next-slowest, at a 24.959, and decided to withdraw before qualifying. Sources within the industry have confirmed that the team is looking at Toledo and IRP but has not confirmed either date as a return. Qualifying looked surprisingly like a NASCAR event. Riley Herbst’s Joe Gibbs Racing team had to change an engine and didn’t attempt a lap. Harrison Burton, Will Kimmel and Thad Moffitt couldn’t get past inspection. Peterson spun his car on the frontstretch and backed his team’s only composite car into the wall, forcing his team to withdraw. That left 26 on the board, and of the four that didn’t attempt a lap, Will Kimmel was credited with the last starting spot. Between the qualifying session and race, the best action of the night took place. A super late model race sanctioned by the CARS Tour took place and included Stewart Friesen’s late model debut as well as former NASCAR drivers Mason Mingus and Steven Wallace. Mingus, driving for former Truck owner Richie Wauters, was wrecked by Wallace after 11 of the race’s 100 laps. Wallace was parked for rough driving after the incident and after both had gotten to the infield, Mingus’ crew jumped members of Wallace’s party, which resulted in a semi-viral video of the fight. Wallace, in a statement posted by Matt Weaver, declared war on Mingus after someone allegedly hit Wallace’s wife. Mingus struck a similar tune to Brendan Gaughan after his encounter with Ross Chastain last year, saying in a Tweet that many drivers had sent thank-yous for standing up to Wallace. That action set the stage for what seemed to be a promising night of short track racing. Alas, the last-place battle was over almost as soon as the race started. Basham retired after a lap, followed by Kimmel and Wilson seven laps later. Con Nicolopoulos, Peterson’s other driver, fell out after eleven laps and Brad Smith, James Hylton’s driver, went behind the wall after seventeen laps. 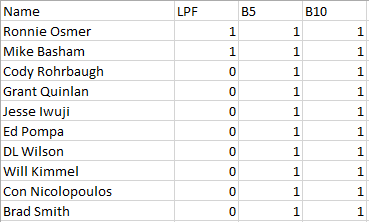 Due to the quick nature of the bottom five falling out all within the first ten minutes of the race, and due to the policy that ARCA does not always publicly release DNF reasons, the entire Bottom Five left the racetrack with no cause listed. Smith’s camp declined to list a pecific reason, saying that a number of issues were to blame. Wayne Peterson Racing and Fast Track Racing had no comment on their teams’ issues, while Kimmel Racing didn’t even have the race on their original schedule and their social media platforms had zero mention of the team even being at the racetrack. (UPDATE: Will Kimmel tweeted that the #69 at Nashville was indeed a start-and-park effort). A special shout-out goes to winner Zane Smith’s spotter Landon Huffman, an underdog in the Truck Series who is another Tommy Joe Martins-like driver on social media, not being afraid to be honest and (when necessitated) criticize sanctioning bodies.